Retail Excellence, Ireland’s largest retail representative body with 2,000 members, has called for an urgent review of Dublin Port’s decision to drastically curtail the volume of cruise ships permitted into the port from 2021. A meeting of the Retail Excellence Oireachtas Cross-Party group chaired by Fianna Fáil deputy leader Dara Calleary TD whose membership encompasses a broad spectrum of elected representatives met this morning, 27th March. The group were alarmed and dismayed at the decision and lack of consultation on such an issue of national economic importance. The retail group will be writing to the Minister for Transport and Tourism Shane Ross TD, as a board member of Dublin Port Authority, to seek an urgent meeting to rescind the decision until a full cost benefit analysis is completed on the proposal. Niamh McCarthy, Managing Director of Excursions Ireland, also attended the meeting and briefed elected representatives of the impact of the move on jobs, tourism and business. According to Ms McCarthy, the loss of cruise-related tourism will have a profound effect not just on Dublin City retail and tourism but on every tourist location and hinterland. 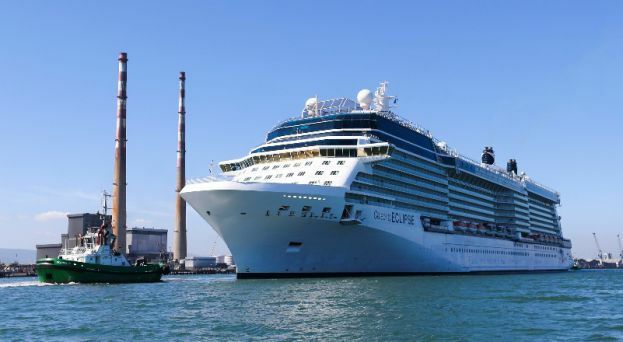 “172 cruise ships visited Dublin Port in 2018, and we predict that this number will rise exponentially if encouraged to grow. The cruise ships are estimated to contribute €50 million to the national economy each year, without taking into account ancillary benefits to local retail and hospitality. “We understand the arguments put forward by Dublin Port – Brexit planning, its commercial imperatives and the growth in freight, but it can’t be a case of ‘either / or’ option. Dublin Port must continue to support cruise ships and freight, like every other major port. “The sustainability of the cruise ship industry cannot be in the gift of one Government agency. Dublin Port is effectively Ireland’s national port, and we look to management there to put national interests ahead of semi-state commercial results. “This move is a significant national issue, with potentially disastrous consequences for a significant number of our members, right around the country. I urge everyone who will be impacted by this strategically compromised decision by the leadership of The Dublin Port Authority, to engage with this issue, as a matter of urgency.